On weekends, if I am not traveling, I stay in the bat cave and practice the art of being a hermit. Yesterday I thought of going out to visit a cafe but my lazy bum got the best of me. Today, as I soon as I got up from the bed, I decided that I’d go out and see humans, the result of which, you are now reading. 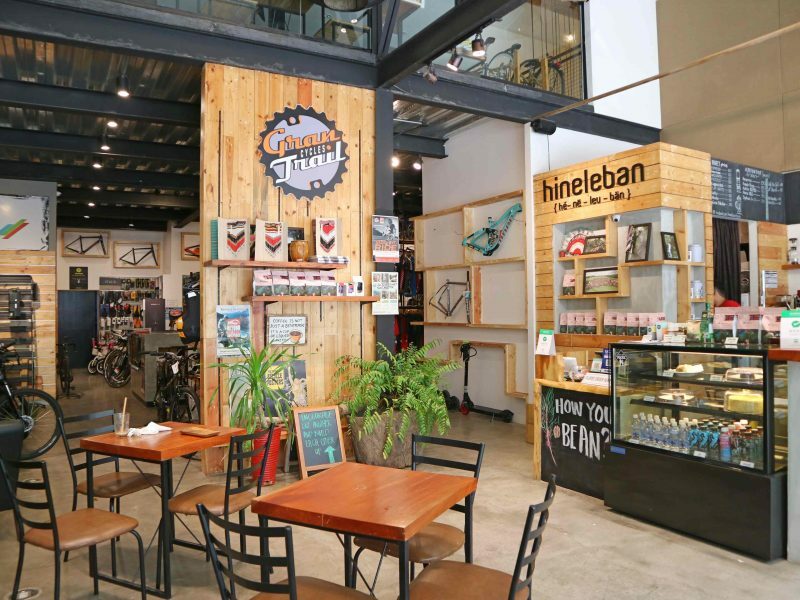 I went to Arnaiz Ave., Makati and visited a cafe that shares a space with a bicycle and surfing shop, Hineleban Café. What’s hineleban? 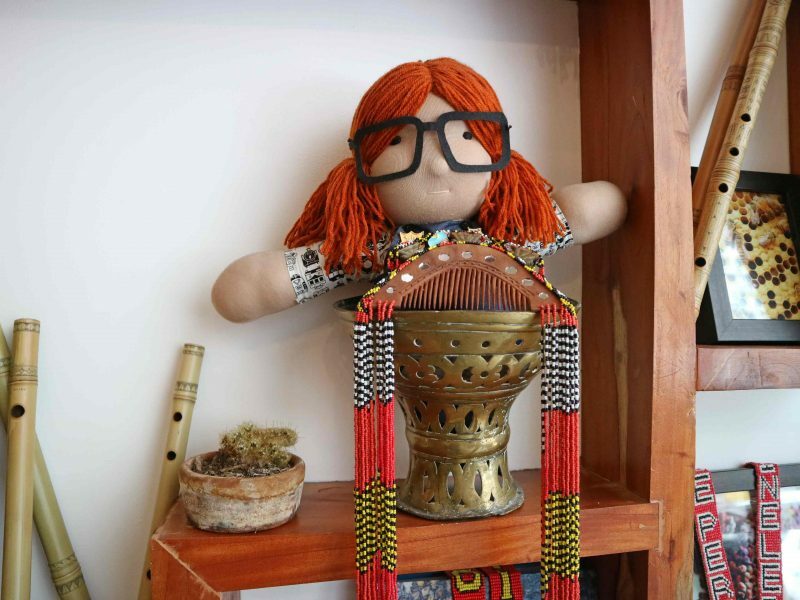 I googled and found that it came from a local dialect of the Talaandigs, an indigenous group in Bukidnon. This is the first time I learned about them and the meaning of the name is pretty complicated. I’ll do my best to make it simple; based on my understanding, Hineleban is a sacred word for the highest mystical spirit of service leadership of the Talaandig-Higaunen tribe. 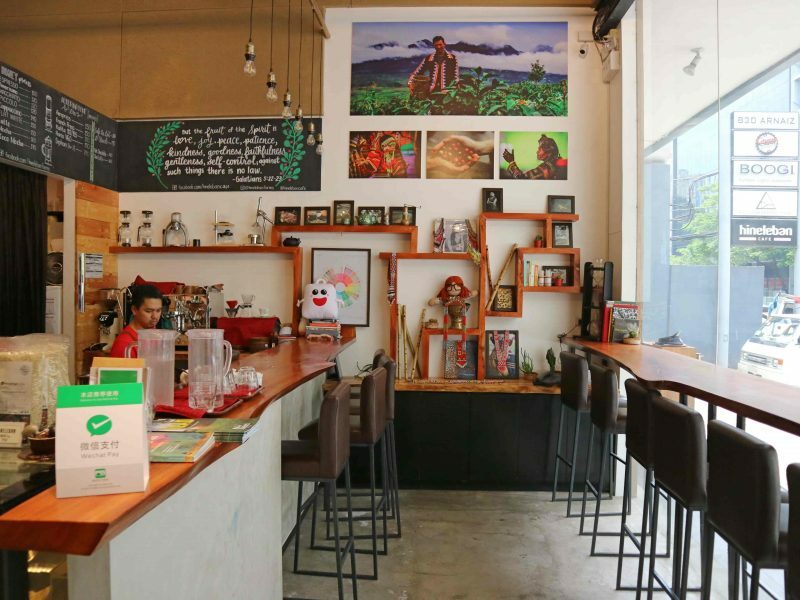 Hineleban was opened in April 2017 and it is owned by an entrepreneur from Mindanao. 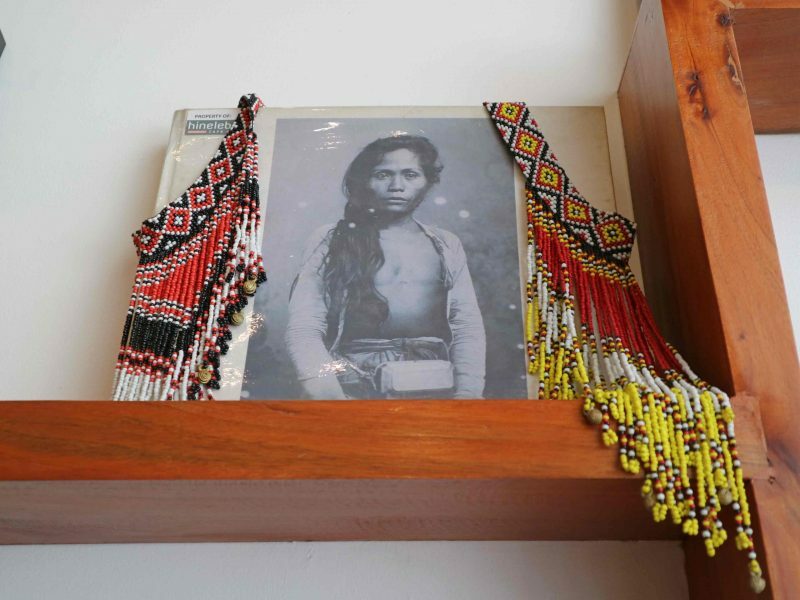 The cafe serves farm-to-table products, sourced locally from the indigenous communities of Kitanglad, Bukidnon. I came upon a non-busy cafe, bathed in natural light coming through the glass walls. Further into the room, past Hineleban is the Gran Trail Cycles shop. Once in a while, I saw people coming in through the cafe with their bicycles to go to the back of the room. The bar is on the farther right side, there are a few cushioned seats, and some wooden tables flanked by single chairs. 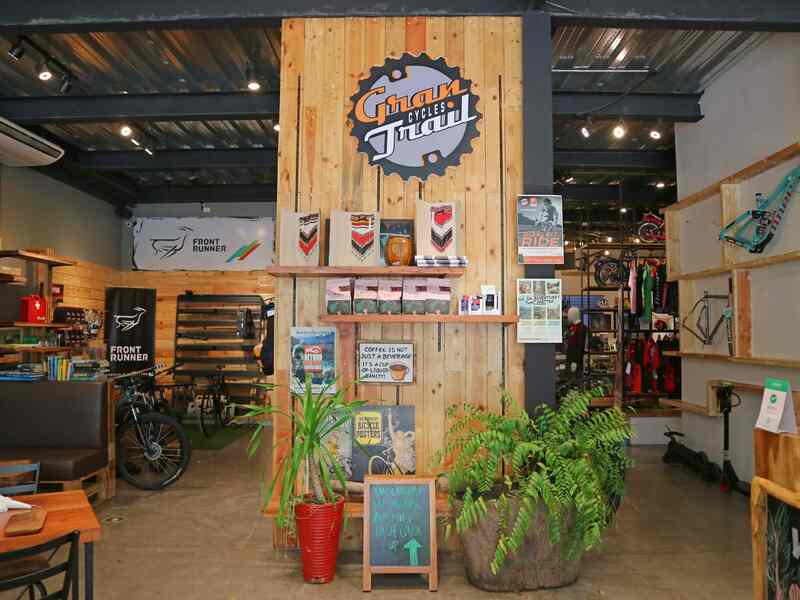 I liked the vibe and overall feel of the cafe, I didn’t mind that it is co-spacing with a bicycle shop. I picked the menu from the bar and took my time choosing what to eat. I originally set my heart on a pasta dish, the menu says that they use adlai instead of pasta noodles. I’ve no idea what adlai is, the barista lent enlightenment by going to the kitchen and bringing me a tiny sampler of adlai. The grain is white and looks a lot like white corn or what we call in Tagalog as binatog. I went in for a taste, half expecting it would taste like binatog. It’s slightly chewy but it tastes more like rice. I thought, if I would go ahead and try adlai then it’s better to order a dish in which it serves as a rice alternative. I quickly changed my order from pasta to one of the dishes, Sweet and Spicy Basil Chicken (₱240 – $4.52). I immediately consulted Google for more information on adlai as I waited for my order. Adlai is also known as Chinese pearl barley or Job’s Tears. Just like quinoa and caulirice, adlai is one of the healthier alternatives to rice. It’s high fiber, high protein grain, and gluten-free. It is grown locally (although not many people are aware of it, including yours truly) in some regions in Northern Mindanao, Cordillera, and Zamboanga. 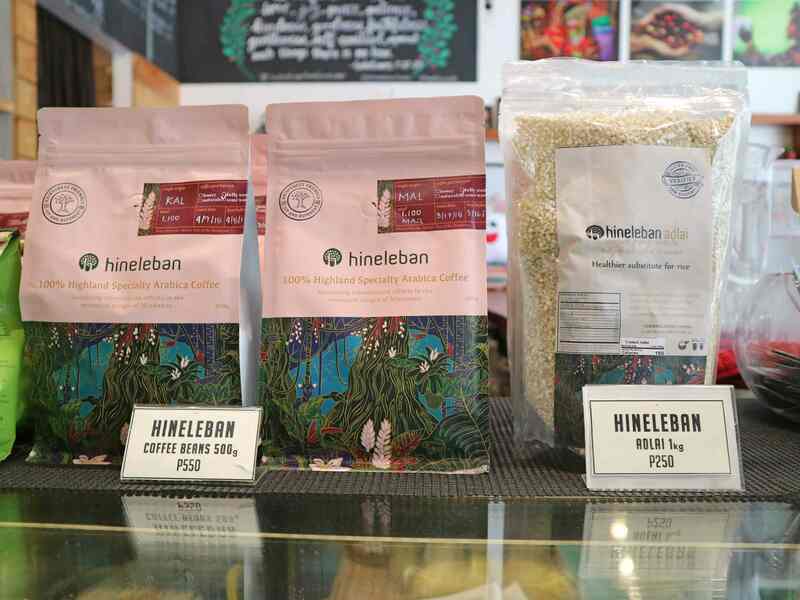 But you don’t have to make a long trip to buy adlai, it is available at Hineleban Café for ₱250 ($4.70) per 1 kg. Likewise, you may purchase it in some health stores. Despite being curious about adlai, I wasn’t expecting much about my meal. The food was served on a big plate, the chicken placed on top of adlai, the grain looks more white than rice, almost like those fake food Japanese display that we see in restaurants. I went in for my first spoonful and was immediately blown away by how unexpectedly good the dish is. 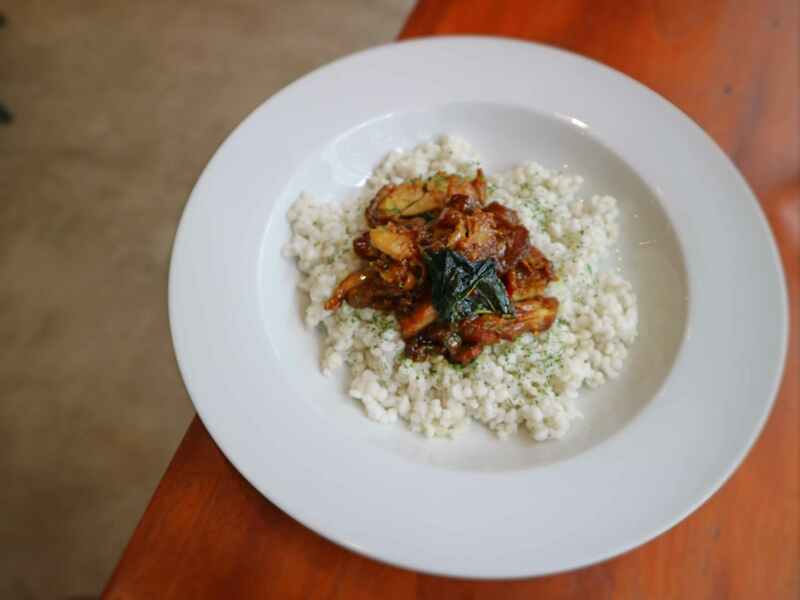 Adlai tastes just like rice and the chicken topping was simply delectable, sweet with just a little bit of spiciness. I loved it so much, I hurriedly shared a photo to my social media and pushed recommendation to my select friends. Lately, I have been veering off from bread and rice to help lose the extra pounds I gained from unhealthy snacking. I know I can eat quinoa, but it is too expensive; I can eat cauli rice but it’s giving me gas. Now that I know about adlai, I think I can enjoy some of my favorite dishes again that only goes well with rice. 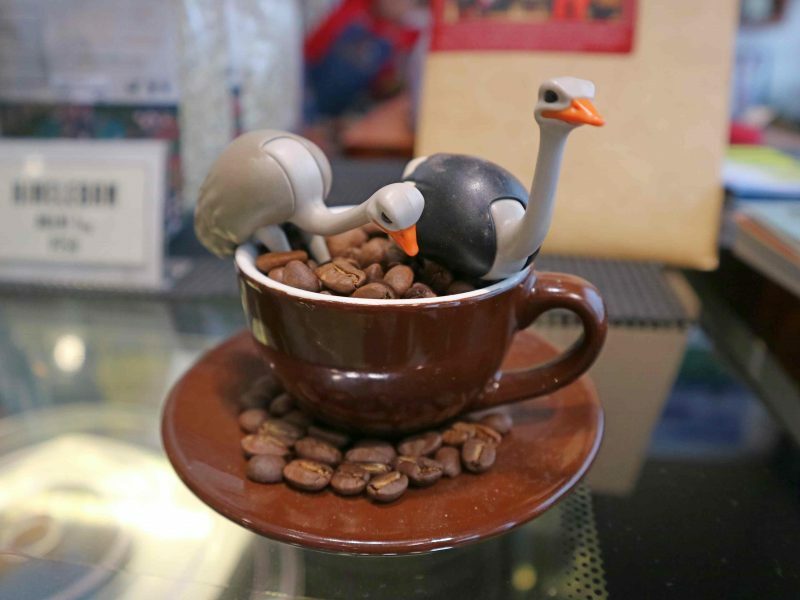 I have a rule when visiting a cafe for the first time, I always try their flat white. I have a mild case of lactose intolerance, thus I requested soy milk instead of regular milk; unfortunately, it’s not available. In the absence of soy milk, I usually just go for black coffee, but since this is my first time at Hineleban, the flat white rule prevails. 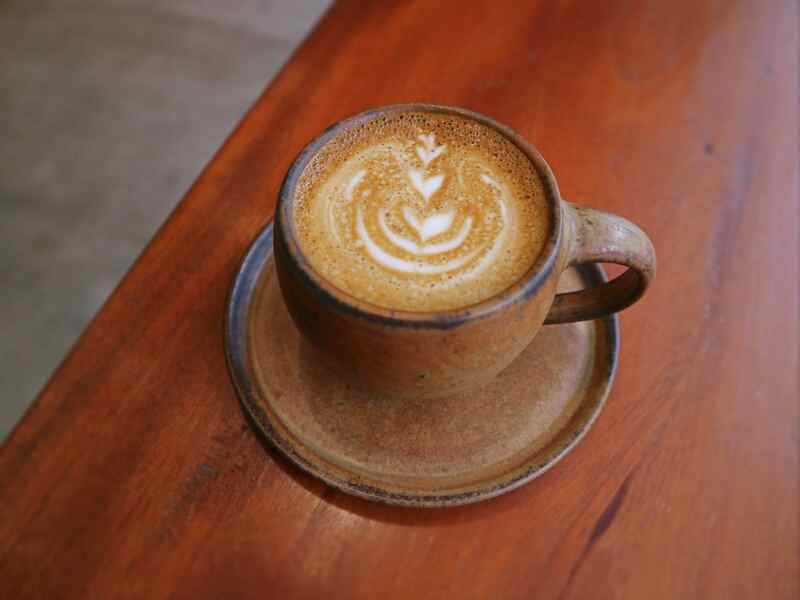 The Flat White (₱150 – $2.82) is bitter, but something that a teaspoon of muscovado can easily be remedied. It is creamy and full-bodied, just the way I like it. I went at Hineleban armed with my books, hoping to review my French. Not sure if I mentioned this here before, but I’m already 1 year into learning French at Alliance Francaise de Manille. I can now write, read, and understand the language but I’ve a long way to go when it comes to grammar and listening skills. Problem is, I’m lazy. I haven’t been as committed as my classmates when it comes to memorization or exposing myself to French literature. So I sat there, tried to review, and was quickly disappointed by my hardly legible penmanship. I wished I’d brought my laptop, the WiFi at Hineleban was fast and anyway. The toilet is also clean, I have to mention that because a clean restroom is one of the things that I look for in any establishments. I’m not sure how busy Hineleban can get on regular days. But I like it enough to say it’s worth leaving the house this Sunday.